Some of the typical flowers, such as cooper beeches, yellow apricot blossoms and flamboyant, are thought of whenever Hue is referred to. Yet there have been some more species along the streets these years. The project “Hue – four seasons in blossoms” has appealed to many people. Whether their responses are strong supports or suggestions for consideration, they all showed their contributions to making Hue more beautiful. Thua Thien Hue Weekly had a talk with two botanists: Assoc. Prof., Dr. Tran Thi Thu Ha, Deputy Head of the Department of Agronomy, the University of Agriculture and Forestry, Hue University, and Mr. Dang Ngoc Quy (M.Sc. ), Vice Director of Hue Green Park Center. What do you think if Hue has distinctive flower streets? Assoc. Prof., Dr. Tran Thi Thu Ha: I do have interest in the provincial undertaking of developing a city of four seasons in blossoms. In the context of climate change, it is good to grow more green plants, especially growing flowering trees along the streets, for urban landscape and highlight of a tourism city. Mr. Dang Ngoc Quy: The green tree-lined streets in Hue have long been depicted in poetry. These streets will be widened when the city is embellished, promising such streets as Ly Thuong Kiet lined with African tulips, Dong Da lined with samanea saman (the rain trees) and Dien Bien Phu lined with meliaceae (a mahogany family of flowering plants). In my opinion, there should be more planned, widened streets as well as more adjustments to the landscape along the streets in the city center to make each street connected with a specific species of flowers. What comes to your mind first when we think of a typical, easy-to-care species of flowers? Assoc. 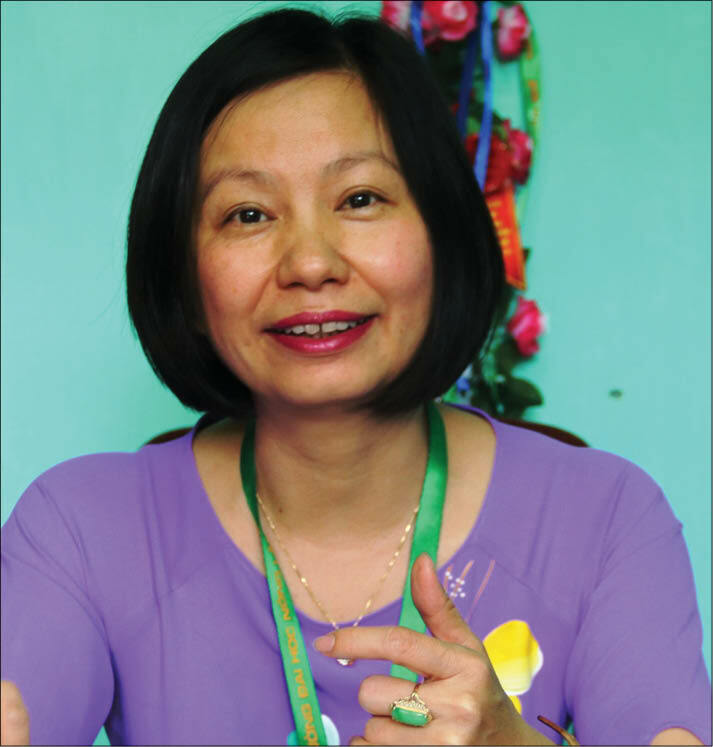 Prof., Dr. Tran Thi Thu Ha: Lotus, which is a common kind of flowers in Hue, has long been grown in the lake system around the Citadel and the royal tombs. Apart from its beauty, products from the lotus are also popular. Currently, the provincial authorities would like to boost lotus specialties and I myself have contributed to a research project regarding the preservation of species of Hue lotus, so I find it a good opportunity for us to cooperate to grow lotus in the lakes adjacent to some streets. However, Hue lotus is grown only in summer. Due to its low productivity, many locals turn to grow high-yield lotus (which give high productivity although the fragrance and the color are not as good as Hue lotus). Another kind of flower worth growing is flamboyant. In my opinion, a street is sometimes remembered for the flowers connected with it rather than the name it was given, for example, đường phượng bay (‘the street of flamboyant’). One more kind of flowers is crape-myrtle, whose purple color is typical of Hue. It is often referred to as Hue purple. I think the brand cachet of the land of Huong river and Ngu mount should be taken into account while making a choice of plants to grow. Mr. Dang Ngoc Quy: There are currently more than 60 species of shade trees in Hue, grown along the streets and in the parks or green spots. Most of these are flowering plants producing blossoms in spring and summer. Cooper beeches, yellow apricot blossoms are thought of when Hue is referred to. These typical flowers have made their marks that are impossibly found anywhere else. Other species of flowers include crape-myrtles, flamboyant flowers, Brazilian fern trees, African tulips, fiddlewood trees, copper pods, Siamese cassia, and saraca dives, etc. Recently, there have been beautiful imported species such as Cassia javanica, Burmese thyrsostachys, Cassia fistula, Tabebuia argentea and Pterocarpus macrocarpus, etc. These species are remarkably useful, providing both shades and beautiful flowers, which adapts well to the climatic conditions and soils in Hue. When the project “Hue – four seasons in blossoms” is planned, I recommend that we consider growing these flowering plants along some streets for a diversity of the flowers. There has been a recent proposal on Thua Thien Hue News about growing yellow apricot blossoms in Hue, hence branding “Hue – the city of yellow apricot blossoms.” What do you think about this? Assoc. Prof., Dr. Tran Thi Thu Ha: The yellow apricot blossom is popular in Hue, and thus it is plausible to line and brand the streets or even a city with yellow apricot blossoms. There are two considerations in putting this idea into practice. Firstly, it is crucial to find the right cultivar of Hue yellow apricot blossom at the right maturity because it must take many years for this type of flowering tree to produce blossoms. Secondly, there must be appropriate care-taking methods and preventive measures to avoid theft as this is a kind of valuable trees. I think it will be splendid to grow yellow apricot blossoms along the streets surrounding the parks. If successful, they will be automatically named yellow apricot blossom streets. Mr. Dang Ngoc Quy: I agree, too, that this is a great idea. Those who have spent their life in Hue will find the yellow apricot blossoms symbolic of Hue closely connected with everyday life. Yellow apricot trees, grown in the front yard of a temple, a pagoda and a house, all show an elegant beauty and become a gardening hobby of Hue locals. It’s important to find ways to make this idea come true. Weather is most concerned about when a kind of tree is planted in Hue. Is this a case? Assoc. Prof., Dr. Tran Thi Thu Ha: I’ve been quite concerned about this. It is not simple to develop the city of four seasons of blossoms. I have talked with some colleagues who are lecturers at the Department of Urban Forestry at my University. Apart from crape-myrtles and flamboyant flowers, other green-shaded flowering trees such as fiddlewood trees, dalbergia tonkinensis, bombax ceiba can be grown to make the streets more beautiful and ventilating. Yet, these flowering trees do not produce blossoms during Tet holidays and rainy season. The most concerned issue is the species that can produce flowers during the rainy season. I and my colleagues have ever thought of the herbaceous plants that bloom in the rainy season. Nonetheless, the persistent rain in Hue spoils the flowers easily. Hardly any species can survive from continual rain in Hue. It’s necessary to have a thorough examination before selecting species well adapting to rainy season in Hue. 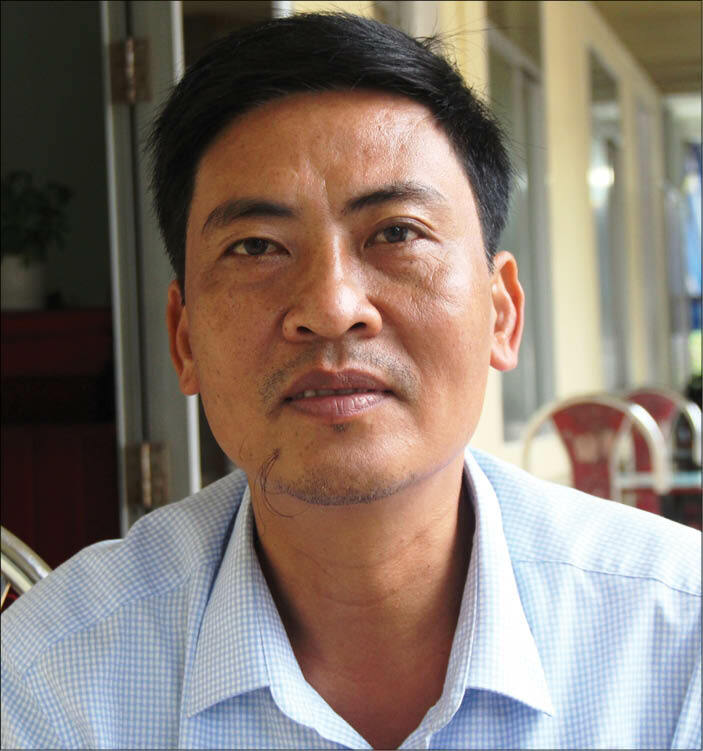 Mr. Dang Ngoc Quy: I am not the only person to worry about the harsh climate in Hue. It takes time to examine and experiment different species to finally have the appropriate flowering trees. In addition to the climate, there are certain difficulties, including the weak sense of responsibility of the locals in the green tree preservation. In addition, the mismatch among related agencies in infrastructural works such as water supply and drainage, telecommunication, electricity, etc., also affects the preservation of the trees. In case of success, what will the flower streets bring for Hue? Assoc. Prof., Dr. Tran Thi Thu Ha: I believe that these streets will successfully boost the beauty and charm of Hue, make good impressions on visitors to Hue. Mr. Dang Ngoc Quy: It is the local residents who benefit from this. 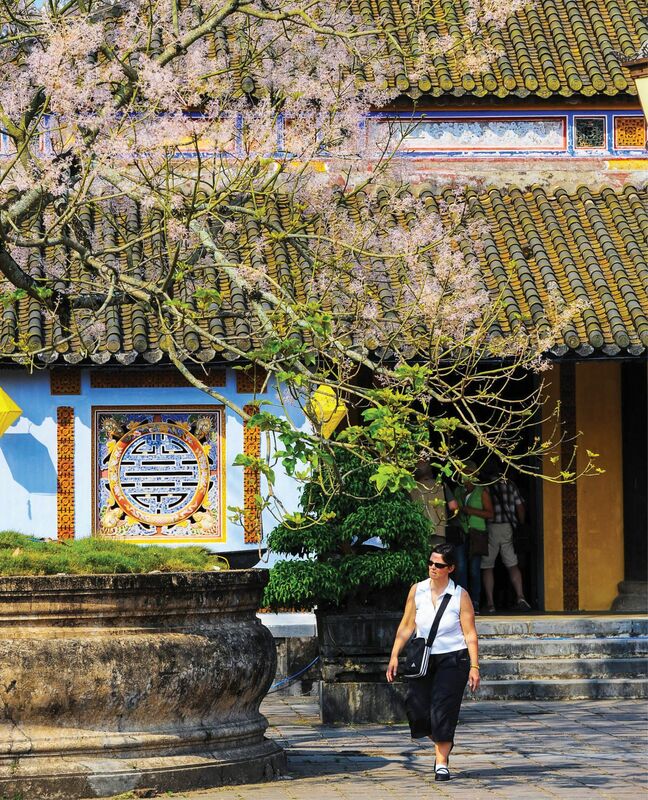 Hue will become an attractive destination that leaves a mark of impression for the locals and the visitors.